In this post we will discuss the hazards associated with improperly disposing of your batteries with an emphasis on a specific type of rechargeable battery known to be most often disposed of incorrectly (with very dangerous results); the Lithium Ion Battery. Properly disposing of your cellphones and anything containing batteries, especially the volatile Lithium Ion variety, is crucial to avoid dangerous truck fires and ensure safety. The rise of electronics being improperly disposed of in Single Stream recycling is troubling. We live in an age of technology where nearly everyone owns a cellphone, laptop, tablet, etc. and with updates and upgrades being required so often, we find the need to dispose of our older models what seems like...all the time. However, properly disposing of your cellphones and anything containing batteries, especially the volatile Lithium Ion variety, is crucial to avoid dangerous truck fires and ensure safety. A suggested cause for improper disposal of Li-ions is likely due to a common misconception and mixed messaging. When an item states it is "recyclable" many assume that you can recycle it with your Single Stream Recycling; this is not the case. As you may recall from a previous post discussing mixed messaging in recycling, when an item is "recyclable", that simply means it can be recycled in some way; it doesn't mean it can be put in with your Single Stream recycling. 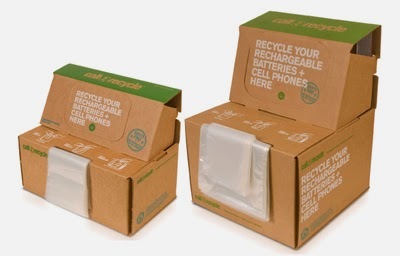 Rechargeable, Lithium Ion batteries can be recycled, but only at specified locations.